If you have ever wondered what it is like to sit on the organ bench on Sunday mornings, then now is your chance to find out. 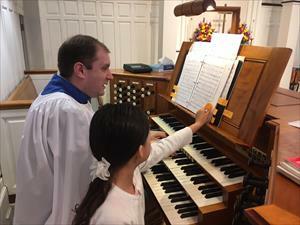 Dr. Matt is looking for assistants, ages seven and up (including adults), to help him at the organ on Sunday mornings. Tasks will include turning the organ on and off, preparing the next hymn on the music rack, staying a step ahead of the worshipping congregation, pushing pistons, and turning pages if confident enough. The assistant will meet with Dr. Matt at the console approximately ten minutes before the beginning of the service to go over the tasks. Please click here to sign up. Did you know our prayer team meets twice a month to pray for the people and ministries of Front Street UMC, as well as our nation and the world? They would love to have you join them! Gatherings are the 1st and 3rd Thursday of each month from 9:30-10:00 a.m. in the Prayer Room (located in the Heritage Center). For more information please contact Lisa Smith at 336-266-2425. Men of Front Street UMC, want to get a great start to your day at least once a week? Come to the Men’s Breakfast Bible Study on Tuesday mornings from 7:00 a.m. Yes, some of our group are retired, but our mindset is not retired and we would celebrate the presence of any and all men. Breakfast is available from 7:00 a.m. with a choice of diet (cereal or fruit) or ham biscuits, as well as coffee and juice. The Bible Study portion begins at 7:30 a.m. and concludes by 8:30 a.m. Click here for more information. We are fortunate to be situated very close to Camp Chestnut Ridge, one of three United Methodist camps in our North Carolina Conference. Please pick up this year’s brochure from the Welcome Center (or visit www.campchestnutridge.org) for the details, costs, and dates of all Chestnut Ridge has to offer this summer. 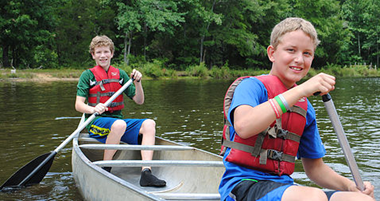 Camps range from ages 3 through middle and high school, and range from day camps to week-long adventures. Check out what God may have in store for your kids this summer! The theme this year is LOVE ONE ANOTHER. Taken from John 13:34, which says, "I give you a new commandment, that you love one another: Just as I have loved you, you also should love one another." 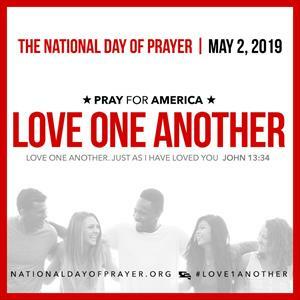 As the 2019 National Day of Prayer on May 2 approaches, thousands of individuals, churches, and communities will be working to rally millions of Christians to seek unification in prayer! 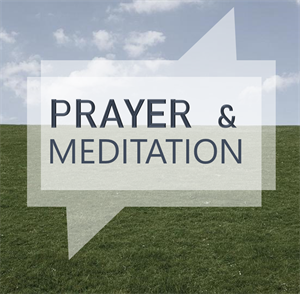 We encourage you to sign up to pray for 30 minutes on May 2 between 8:00 a.m. and 8:00 p.m. We would like to have people praying throughout the 12 hours, either in the Prayer Room or Chapel, or in their homes. Sign up sheets are located outside the Prayer Room, the Chapel, in the Sunday School rooms, and the Welcome Center. LOVE ONE ANOTHER pamphlets will also be available to use as prayer guides. Circles 1, 2, and 4 will meet in the Chapel on Monday, May 6 at 10:30 a.m. for our General Meeting. The Spring Salad Luncheon will follow in Aldersgate Hall. Circle 5 will meet on Tuesday, May 14 at 6:30 p.m. in the Heritage Center. The annual salad supper will be enjoyed. All women are invited to join us as our guests. Contact Doris Jefferson at 336-228-0130 for additional information. How do we live a life of significance as we age? How do we turn age into an asset as we cultivate spiritual maturity in ourselves and others? Recognizing that the call to go and make disciples is not limited by age, how do we turn age into an asset as we engage in ministry by, with and for those in the second half of life? Join us as a gifted slate of speakers, authors and pastors help us go deeper into discipleship at the Festival of Wisdom and Grace. 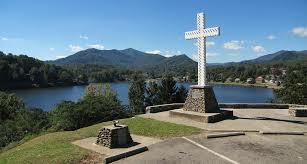 This spiritual enrichment event will be held at Lake Junaluska, August 5-8. Click here for full details of conference sessions, speakers, and registration. Last year 8 adults from Front Street attended this conference. 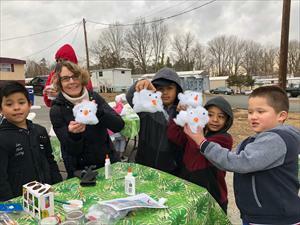 If you would like to talk with someone who attended, please contact Carol Sineath at 336-263-2495 or Tom Sineath at 336-263-6048. On Tuesday, May 14 and Wednesday, May 15, Front Street UMC is hosting a conference for rural pastors, a joint event between both NC Conferences, the Duke Endowment, and the Institute for Emerging Issues at NC State. 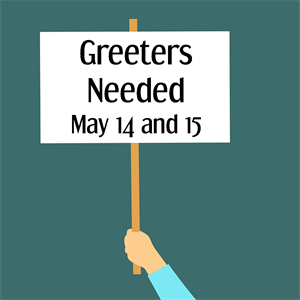 Greeters (10) are needed for 2 hours each day (8:30-10:30 a.m.) to ensure our guests feel welcome and provide directions to the facilities, etc. A small team of volunteers is needed to help serve lunch. If you can be a greeter on one or more days, contact Cynthia Powell at cdpowell54@gmail.com or text at 336-2147699. This is a wonderful opportunity for Front Street to welcome and extend the hospitality of Christ. Won't you join us? It is now possible to make your offering contributions simply by sending a text message. To take advantage of text giving, send a text message with the dollar amount you wish to give (eg "$10") to (336)489-GIVE(4483). The first time you give via text, you will have to fill out a short form with your billing information. This form will appear on your phone after you hit send on your first text. After this initial setup, giving is as easy as sending a text message. Please note, text giving only goes to the general fund (budget). Questions? Please contact Tammy Page in the church office or email tammy@frontstreetumc.org. Positive Attitude will be celebrating its 25th year of service with its annual banquet on May 9, 2019 at 6:00pm. More details are coming soon. Contact PAYC at 336.222.6606 with questions. 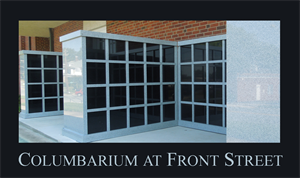 The Front Street UMC Columbarium is now ready for us to take reservations for niches. As mentioned before, the columbarium contains 60 niches that can each accept up to two urns. 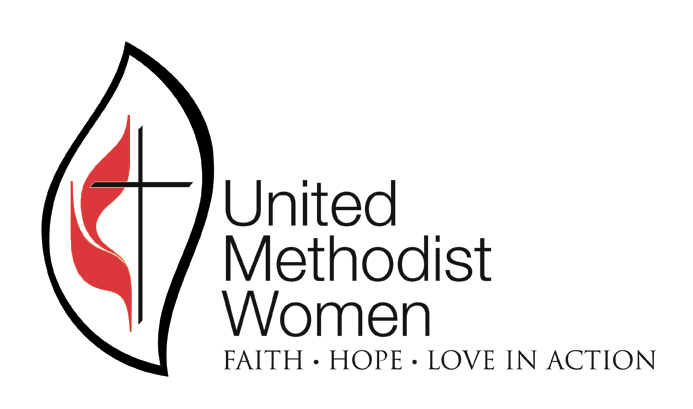 The following persons are eligible to purchase a niche: (a) member(s) of Front Street United Methodist Church; (b) spouses of members; (c) children or stepchildren of members; (d) parents or step-parents of members; (e) current or past ministers of the church; and, (f) former members as approved by the Buildings and Grounds Committee after a written request. The prices approved by the Church Council are $1,000 for the first set of cremains, and $500 for a second set. Click here to view the policy. Please contact the church office and make an appointment to select a niche and complete the appropriate paperwork. Either Pamela Shields, Tammy Page, or Pastor Ross can assist you. LOOKING FOR AN UNIQUE GIFT FOR A LOVED ONE? 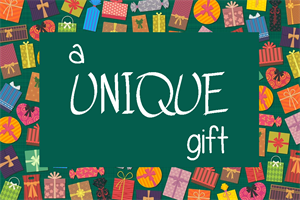 Are you looking for a holiday gift that is meaningful? Struggling to find something unique to give a loved one? Consider honoring them with a gift that is personalized, long-lasting, and that benefits the mission outreach of Front Street UMC. Buy a brick! 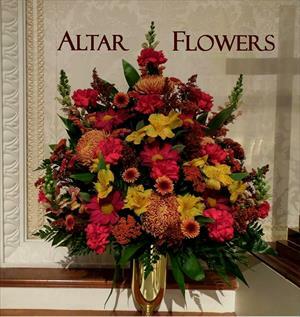 Click here to order online or contact the church office for a paper order form. Forms are also available in the Welcome Center. The Bucker Mission Man Triathlon is a vital event that has raised approximately $33,000 yearly for our adult missions and supporting other missions in our local community. This would not be possible if we did not have the support of the congregation. These roles vary with a time commitment to fit all of your needs, from day of only to monthly. We encourage you to reach out to Amanda Warren (fosterunc@aol.com or 336-317-0715) or Susan Morris (susiecmorris@yahoo.com or 443-823-8735) with questions or more information about the duties of each role. All are warmly welcome to join us for this afternoon of fun and fellowship. Please meet at 1:15 p.m. at FSUMC to carpool. Contact Pastor Patrick (Patrick@frontstreetumc.org) for details. For more information, please contact Linda Paul at 336-543-5081 (cell) or kpaul5@triad.rr.com (email). Mark your calendars for the Buckner Mission Man Triathlon 2019 on Saturday, July 27, 2019 at Lake Cammack. BMMT is an event aimed to create a positive tangible impact to missions in our community through good deeds and praise for our Father in Heaven. We hope to see you there supporting this important church mission as committee chairs, volunteers, or participants! More details to come soon. Questions, email missionmantriathlon@gmail.com.